Announcement Creations by artist Marie Young made especially for you! Whimsical hand crafted copper bookmarks to elegant sterling silver jewelry. You'll find something perfect for that special someone, even if that someone is you. Creations by artist Marie Young made especially for you! Beautiful. Simply beautiful, thank you so much!! They are really simple and cute. Quick shipping. A birthday present to my brother. He loves it, thank you so much! The most adorable two girls came to my booth this weekend and wanted a gift for their mother. They were so excited when I finished it! Want it in a different color or different style? I can make it happen! Just made this one for my favorite hockey team. So proud of you this season Nashville Predators! I often take my anvil to shows with me. You'll find Marie at shows all over Middle Tennessee and the surrounding area. I use an old printer drawer as a pendant display. My breastplate necklace has won local art awards. As a girl, Marie Young always had her hands full. Sometimes it was clay, sometimes paper, beads, or wire. So it was only natural that her love of creativity would evolve into a business. It took almost 3 decades before the girl who dug clay from her yard and made snowflakes in her desk during class would find the perfect balance between job and passion. The idea for The Salvaged Edge came around 2008 like a tiny speck of dawn light that grew into a sunrise. Working part time at a bead store and raising a daughter at home, she discovered a love for metal. The malleability, durability, and possibility were too much to ignore and by the time her friend Eunice introduced her to Lu Heimansohn's Salvage Yard and the endless supply of salvaged copper there, she was hooked. Over the next decade her passion would grow into the business it is today. Most days now, you can find Marie settled at her antique watchmakers bench tapping out a steady rhythm on her anvil. Or you might find her at a show or festival around the middle Tennessee area. If you really want to make her eyes sparkle, dare her to try to make something she hasn't made before. She always has her hammer ready for something new. I've always been creative and when my daughter was born I needed an outlet while I stayed home to take care of her. I am blessed to be able to do something I love. Cujo was rescued on June 1, 2018 and likes to whistle the Andy Griffith theme song and imitate alarm clocks. He works for millet. Britney Goode is the amazing glass artist at 816 Glassworks that has decades of experience. 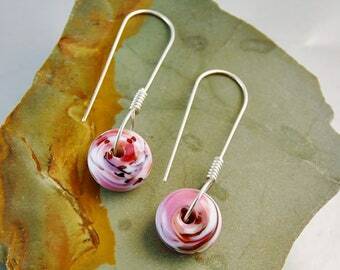 She makes amazing, colorful beads that sparkle and shine with intricate complexity. Each one is unique in its own right. Welcome to The Salvaged Edge! There is a whole line of fun pieces here to suit your wants and needs. I make all of my artisan items from salvaged electrical grade copper, aluminum, and 100% post consumer recycled sterling silver. All of my items are untreated unless otherwise noted. I use both new and vintage beads, found objects and recycled jewelry parts in my designs. I love to use as much recycled and repurposed materials as can, hence, my shop name, The Salvaged Edge. I am constantly experimenting with "new" used materials so keep a look out for new and interesting twists! I work out of my home in historical Dover, Tennessee, a small, picturesque town with one stop light and lots of Southern charm, y'all! Regular stock items may be returned in original condition for a full refund of the purchase price within 30 days of purchase for any reason. After 30 days returned items may be considered for store credit. Custom items will be considered for return on a case by case basis and may entail a 10% restocking fee. 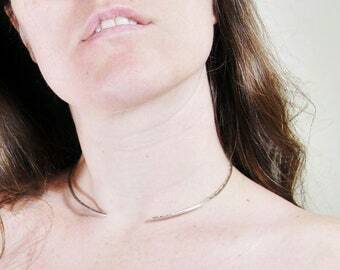 I take pride in making jewelry that will stand up to normal wear and tear, but occasionally things happen. You may send any of my items to me for repairs and I will fix it, free of charge if it is possible to fix. If an item is beyond repair I can remake the item, if possible, for a comparable charge. Ask me about repairing items that are not my pieces; I may be able to repair or refashion them. Payments accepted: major credit cards, Paypal, personal checks, cashiers check, and money orders*. Items will be shipped the next business day (M-F) after payment has cleared unless otherwise noted. *Please note that personal checks, money orders, and e-checks may take a week or more to clear and you should be prepared to wait for your item. I am not able to accept international checks or bank money orders. Money orders must be USPS money orders. Shipping: every business day (M-F) from Dover, Tennessee, using USPS First Class in a recycled padded envelope or box with appropriate recycled packaging to avoid damage to the item. Please, include a message at checkout if you wish your item to be packaged as a gift and/or a personal note. In most cases a package shipped within the US arrives within 5 business days, often sooner, but this is no guarantee, especially during busy postal seasons like just before Christmas. If you would like Express (next day) or Priority shipping (2-3 days) please purchase the appropriate listing in my shop. You can do a shop search for Express or Priority. If you have trouble finding the appropriate listing, please let me know. USPS First Class international- It can take up to 6 weeks or even two months for a package to arrive depending on what country the item is going to, especially during busy postal times. It nearly always takes less time, but please be prepared should it take longer. You will have a tracking number but often the package can only be tracked until it leaves the US. For USPS Priority International and Express International it will depend on the country how long it takes, usually less than 2 weeks, but this largely depends on the country it is going to. Please contact me to arrange this service as the price is drastically different from country to country. If you are in the middle Tennessee/Kentucky area and would like to arrange for pickup, please let me know and I will adjust the shipping charge. Q) What kind of a name is The Salvaged Edge? A) The Salvaged Edge is a play on the sewing term "selvage edge" which is the very edge of a roll of fabric and very often gets cut off and thrown away. I worked in a costume shop for many years and heard the term often. Since I use mainly recycled and salvaged materials, the phrase stuck with me and became the name for my shop. Q) I really love your stuff and want to sell some in my brick and mortar boutique. Q) How do I care for my pieces? A) Each piece can be carefully washed with soap and water and a soft cloth or toothbrush. Avoid using harsh or industrial cleaners as they make pits in the copper over time. To polish your piece, use a soft cloth anytime or a gentle metal cleaner occasionally. A weak vinegar solution can also be used occasionally unless the piece contains turquoise, pearls, or another soluble stone. 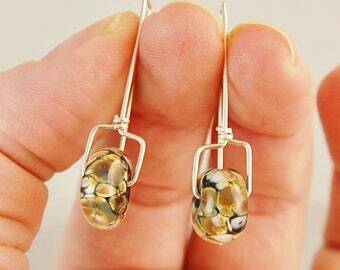 Q) What is a good way to keep my jewelry from tarnishing without using chemicals? A) For years, many women have found that adding a piece of chalk to their jewelry box absorbs any excess moisture and helps to slow tarnish in items not worn everyday, but just being in a closed environment like a jewelry box away from heat, air, and moisture will retard tarnish. The best way to keep tarnish away is to wear your jewelry as often as you can. The oils on your skin create a barrier which slows tarnish and keeps copper bright longer. Q) I have a green spot on my skin from the copper, what should I do? A) This is harmless and will wash off with soap and water. People that perspire frequently or have certain chemicals on their skin may have green spots more often. The best thing to do is either remove jewelry in sweaty conditions or coat the parts of the piece that touch your skin with car wax, beeswax, or jeweler's wax (nail polish works too, but smells strong and wears off in patches). Q) I heard copper is good for healing? Why? processes. Copper is also found in many whole foods we eat, like seeds, grains, and beans. I have worn a copper bracelet for years now and never felt better! Q) What is sterling silver? A) Solid sterling silver is 92.5% silver and 7.5% metal alloys, usually copper. It is not magnetic and leaves a white streak if rubbed on a stone or tile. When nitric acid is applied silver will not turn green like other metals. Q) What is fine silver? A) Fine silver is made of only (99.9%) the element silver. It is softer than other metals which is the reason silver is usually mixed with other metals when used for coins and other pieces that need to be a little sturdier. 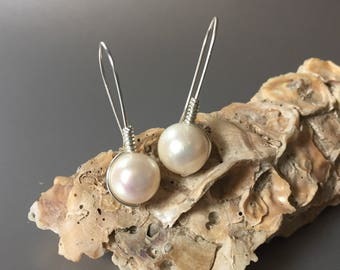 It will show all the properties of sterling silver but be just a hint softer. Q) What is German silver/nickel silver? A) German silver is not made of the element silver at all. It is usually, copper, zinc, and nickel. It is almost imperceptibly magnetic. has a medium to dark gray streak on a streak plate and will turn green in contact with nitric acid. I do not use german/nickel silver in my jewelry. A) Brass is usually a combination of copper and zinc. The yellow brass I use is 70% copper and 30% zinc. The red brass is 85% copper and 15% zinc. 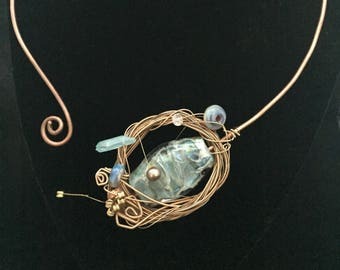 Q) Why don't you use plated or filled wire in your designs? A) I love the look and feel of solid metals. They wear better over time. Also, solid metals are much easier to recycle than plated or filled.